It’s a follow on from my last crime novel, Line of Sight. I want to use the series of Frank Swann novels to track the kind of Western Australian social history you don’t find in history books. 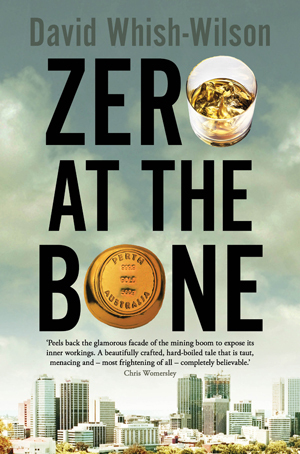 Zero at the Bone is set in 1979, on the cusp of the cowboy capitalism we associate with the WA Inc period of crooked entrepreneurs and sociopathic politicians in WA. More broadly, the novel looks at the mining game in Perth, and the scams and rorts associated with it. It’s pure crime fiction, with a noirish edge. A bloody joy to write. Some of those blokes who played coppers in Matlock Police, Homicide and Division 4 would be perfect. The tone and plot of the book can be summed up in a one-line quote I pinched from the Mahabharata (VI  41.61) - And I swear to you, I shall lay down my weapons only when I’ve heard a great untruth from a man whose word I trust. 1979 is the 150th anniversary of the colonisation of Perth. Black Swan flags line the streets and the brewery lights display a colonial era sailing ship. An ancient paddle-steamer plies the Swan River. Colonial era costumes are worn at balls and official functions. The Prince of Wales is there to participate in a recreation of the first landing by Governor Stirling. Commemorative coins are pressed, stamps distributed and schoolkids herded around exhibitions in the city. The black swan logo is on every second tee-shirt, on car bumpers and posters everywhere. But what’s going on in the Perth underworld? Why are the major players taking long odds on short money? Daily bank robberies, lethal smack on the streets, blocks of the city on fire. When Frank Swann takes a job tracing stolen jewellery he is drawn back into the world of corrupt cops, mad bikies and mafia hit-men. But even Swann is surprised when the investigation leads straight to heart of the gold mining sector - the biggest game in town. I’m represented by the wonderful Mary Cunnane. The novel will be published by Penguin Australia in June 2013. I work full-time and have three active kids. As a result, the first draft took me eight months. 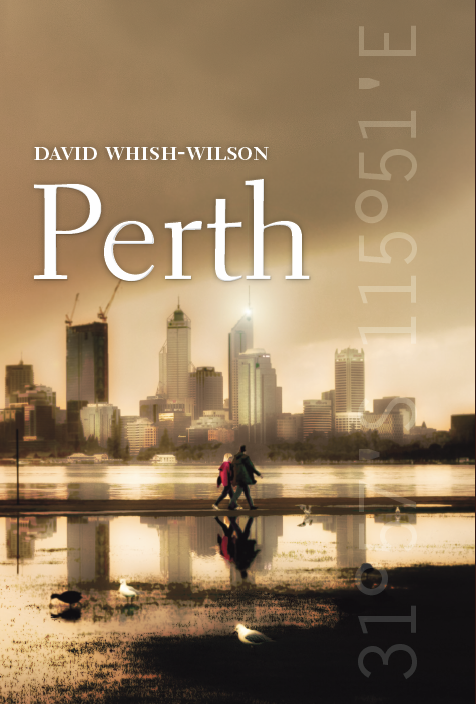 Dave Warner wrote a similar book set in Perth called City of Lights. I wanted to get to know Frank Swann and his world better, although we share the same house in the same street in South Fremantle, drink in the same pubs, and he also has three kids. That makes ten of us sharing a two bedroom fibro shack. But because he seems to get out more than me, I’m able to follow him around, take notes. He’s not done with me yet. The mining game is still a big part of Western Australian life. But things can, and do come undone. I found a great inspiration reading Jennifer Wells book Bre-X, which charts a terrific but tragic gold scam run up in Indonesia a while back. Stranger than fiction, but just as compelling. The greedy versus sucker nexus, amplified by billion dollar stakes. 1979, when Zero at the Bone is set, was a time some of Perth’s most notorious criminals and bent coppers were getting into legitimate business, and the mining game is therefore an interesting thing to look at.